As you may be aware, catheter-associated urinary tract infections are among the most common infections in hospital settings. 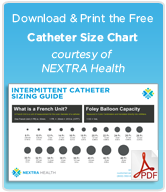 The causes and facts for CAUTI are numerous, but typically infections are developed from compromised sterility when inserting a catheter, or from leaving them in too long. This post deals with the latter issue. New studies by Jennifer Meddings and University of Michigan colleagues have been studying hospital reminder systems and their effectiveness in preventing CAUTI and reducing the time and number of catheters required by patients. So far, the reminder systems they’re using to remind hospital staff that patients need their catheter removed have dropped CAUTI by 52%. This number is huge, considering the number of patients who require cathing after surgery or while immobilized in hospital beds. According to this Press release, there are four required steps to remove a urinary catheter in a hospital. 1) A physician identifes it’s there. 2) They identify it as unnecessary. 3) The physician requests with written order to remove it. 4) A nurse removes the catheter. A reminder system can be constructed to skip these steps a number of ways, including stickers on charts, computer-generated reminders on patient’s information form, or placing a “stop order” to identify a date to discontinue further cathing of a patient. 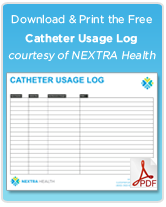 These systems can also be designed to help empower nurses to provide catheter care to patients without requesting an order from a busy physician. This strategy is extremely inexpensive to implement and has seen an astounding success rate. Stopping half of hospitalized CAUTI can result in not only less patient suffering, but save hundreds of caregiver hours and millions of health care dollars.